As you read this blog, I strongly encourage you to give some thought to your environment and how it affects your mental health and wellbeing. I remembered this story recently as I’ve been thinking about what that mysterious water is in my own life. I’ve been considering how the choices we make concerning how we occupy and conceptualize space define us and affect our mental wellness. I recently read an article about how walking in nature really does have a calming effect on people and can assist with managing stress. This doesn’t surprise me at all. There is an entire discipline—called environmental psychology—which looks at the environmental impact of stress on humans. Studies on the dynamics of lighting on performance and similar studies of how temperature and noise impact our physiology and stress levels have revealed interesting evidence in this field. Consistent exposure can lead to the build-up of cumulative stress, or can in some cases, help to ease symptoms. One of the tasks I’ve set for myself this year is to declutter and organize my space to increase my own mental health and wellbeing. While I’m not finished yet, the sheer fact that I set this goal, gave it importance, and can now see my progress makes me want to continue. The whole process makes me feel calmer and more in control of myself and my environment. Do you feel calm when you go home or before you go to bed at night? If not, what is one thing you can do to make your space feel more calming to you? Do you feel calm when you walk into work? Sitting in a small cubicle all day can have a negative effect on your psyche. What could you change? How do you feel when you’re stuck in rush hour traffic and trapped in public transport? Could you walk or bicycle to work rather than feeling packed like a sardine? How you manage your space has a reciprocal impact on your sense of wellbeing. This includes how you choose to design your space at home, at work, and in your community. I encourage you to spend some time thinking about the space in other people’s lives as well as your own. Try paying special attention to the silent space during conversations. It can lead to some helpful insights. If this topic interests you, I found an interesting podcast, featuring former Toronto Chief City Planner Jennifer Keesmaat, about the importance of green space on health. I also enjoyed reading both The Life-Changing Magic of Tidying Up: The Japanese Art of Decluttering and Organizing by Marie Kondō, and The Little Book of Hygge: The Danish Way to Live Wellby Meik Wiking. Kondō’s book has been turned into a Netflix series worth checking out. Whether you like it or not, your immediate environment affects you. Becoming aware of how, and of how you interact with it, can empower you to make positive adjustments and improve your mental health. 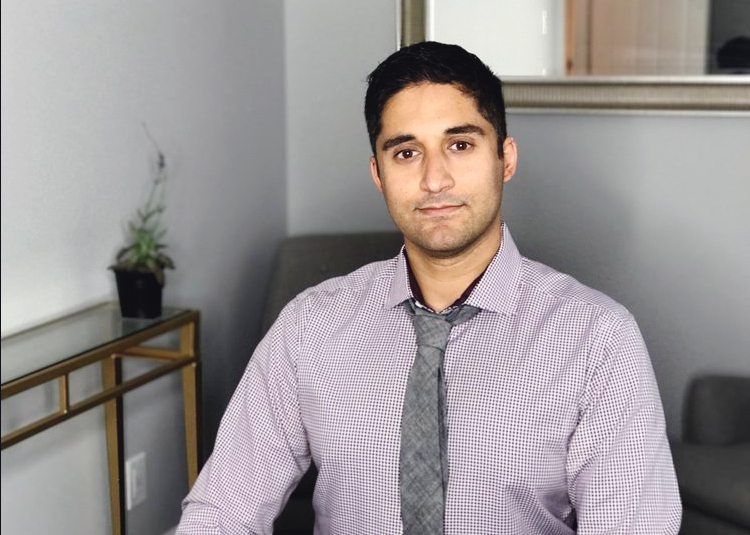 Shaun is a therapist in our Toronto office, helping a wide variety of clients work through behavioural and emotional challenges.